Climbing into a relaxing detox bath after a long day can be a powerful way to unwind and disconnect. If it’s been years since you’ve last indulged in a bath, it’s time to rethink bathtime. Detox baths are a staple in my self care routine. They allow me to recharge, release stress and have numerous health benefits. Not sure where to begin? Don’t worry! This guide will help you construct the perfect bath for your needs. If you plan on making a big batch to last while, I suggest storing your bath salts in an air-tight container that you can keep out on display. Just making a one-time batch? I use a mixing bowl to help me mix everything together. When it comes to the base, I always start with a base of pure, unscented Epsom salts. I use about 1/4-1/2 of a cup. Why Epsom salts? 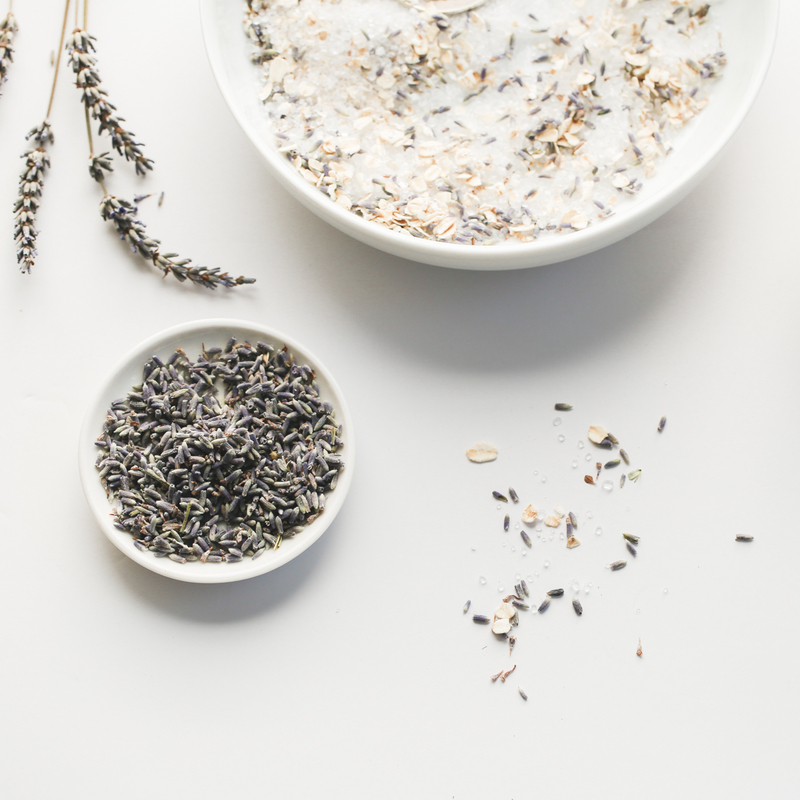 Epsom salts encourage the absorption of magnesium into our bodies, promote relaxation, and help to draw out toxins. Also, it’s a great tool to help soothe sore and achy muscles! Another great addition to your detox bath base is good old baking soda. I use about 1/4 of a cup. 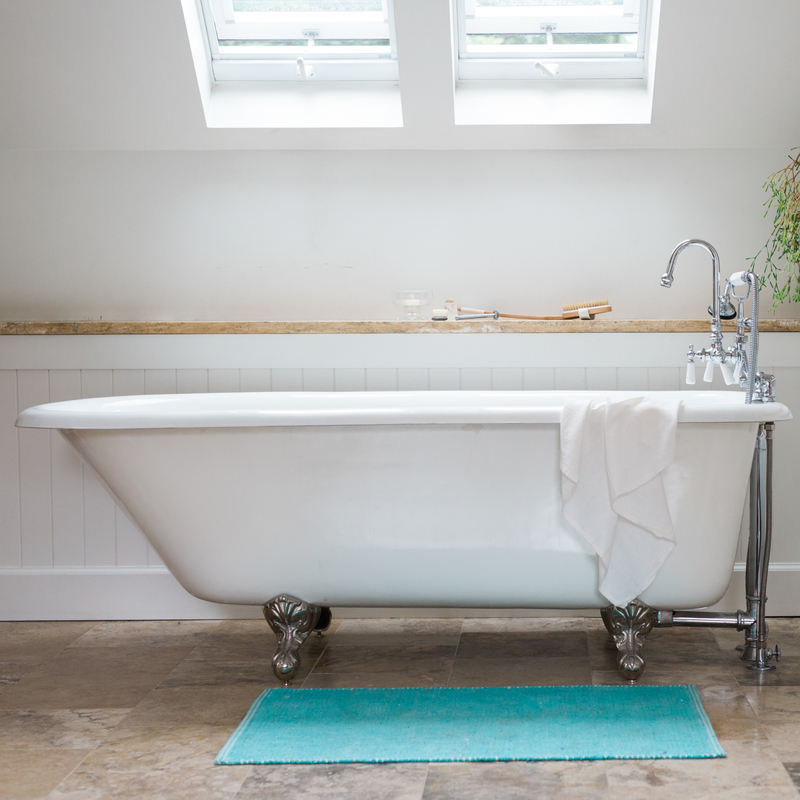 Believe it or not, baking soda has a number of benefits when added to your bath. Chances are, you already have it on hand! This is where you start to take your detox bath up a notch. There are two additions that can take your bath from meh to fabulous. Based on what you’re looking for, pick one or the other. Apple cider vinegar is the first unexpected addition to your bath ritual. ACV is a great choice for those struggling with dry, itchy, or red skin as it can help to soothe and calm irritation. Adding about 1/3 cup of apple cider vinegar to your bath should do the trick! Bentonite clay is a great addition to detox baths because it helps to bind and draw out toxins from the body. According to Paleo Hacks, the secret to Bentonite clay’s toxin-binding powers lies in its negative ionic charge and absorption abilities, which pull positively-charged ions from the bloodstream for elimination. Pesticides, heavy metals, and harmful bacteria are all positively charged, making them susceptible to the clay’s pull. The addition of essential oils can take your relaxing detox bath to the next level. Whatever you’re looking for, certified pure therapeutic grade essential oils can provide support. Check out some of my favorite bath blends below! An important note: if you’re new to essential oils or have just been buying them at Whole Foods or another health food store, listen up! Like all supplements, the industry does not have strict regulation around labeling. It’s very important to know that all essential oils are not created equal. Meaning, what you see is not always what you get. Personally, I only use and trust doTERRA essential oils. These oils go through the strictest and most thorough third-party testing on the market. Like I mentioned above, simply indulging in a bath once a day or once a week can have numerous health benefits. It can truly become an important part of your self-care routine. If you’re looking to make this ritual even more effective, consider dry brushing prior to your dip. The benefits of this self-care practice are, like an Epsom salt bath, pretty impactful and not to be ignored.